Premier League referee Martin Atkinson has come in for heavy criticism for his performance in Chelsea’s clash with Manchester United. 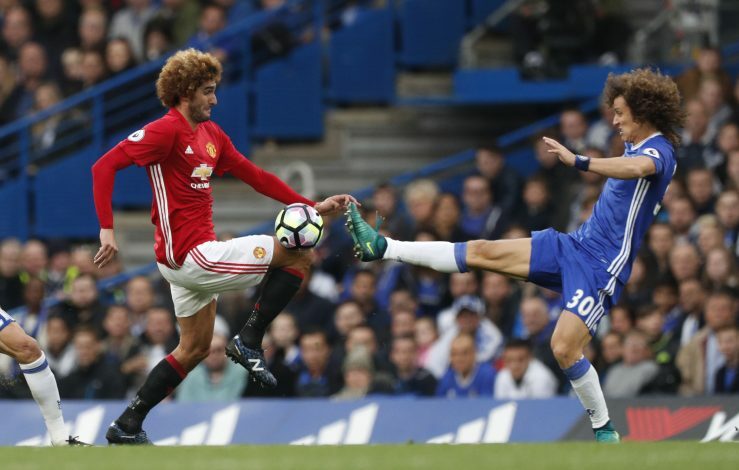 The Englishman has been criticised for a particular incident in the game that took place between Marouane Fellaini and David Luiz, in which the Brazilian was clearly seen digging his studs into the midfielder’s knee. However, despite having a perfect view of the clash, Atkinson decided to let Luiz off the hook with just a yellow card. Atkinson has a history of making crucial decisions in favour of Chelsea against United, and this was the second time he has failed to send off David Luiz for a reckless tackle against United. While the decision enraged many United fans, several pundits also let rip at Atkinson for the poor decision. “That’s not a difficult decision to make,” Graeme Souness said, speaking as a pundit on behalf of Sky Sports. “If you look at where the referee is. He’s getting a full view of it. Does he not see six studs showing there? Thierry Henry, also a pundit for Sky Sports, described the decision as ‘massive’ and ‘strange’. Former Manchester United right-back Gary Neville also admitted that Luiz was lucky not to get sent off.